A blog about music, films, and as little design as possible. Anybody whose anybody that thinks he/she knows music knows at least a couple of albums, and that’s not hard at all with 1973’s Dark Side of the Moon being the third best-selling album of all-time and voted in the top five best albums on almost every Rock site and magazine… You also have 1979’s The Wall which was adapted into the 1982 film by Alan Parker Starring Bob Geldolf, and later in 1990 performed Live in Berlin in front of a staggering sell-out crowd of over 350,000 people, with people from fifty-two countries watching the two-hour event television broadcast. “The reason for walls is always fear, whether the personal walls that we build around ourselves or walls like this that frightened governments build around themselves,” Waters says. “It fills me with horror, the thought of living in a giant prison,” Waters says as he spray-paints “We don’t need no thought control” on the wall. 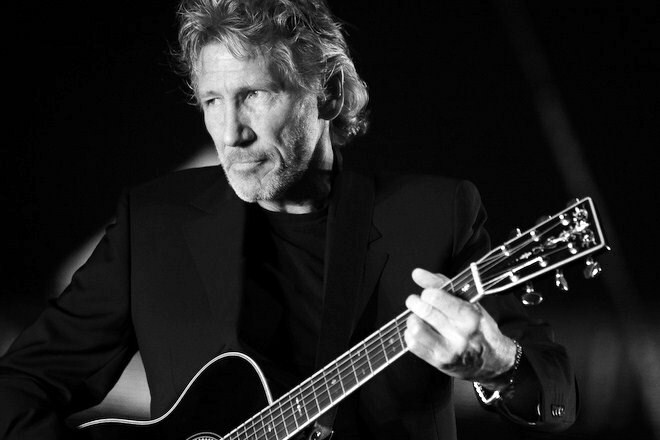 This is one of Roger’s most recent songs… Leaving Beirut. This entry was posted in Articles On Music and tagged 1948, 1967, Another Brick in the Wall, Apartheid, Berlin Wall, biography, Dark Side of the Moon, David Gilmour, documentary, film, Gaza, Graffiti, Green Line, history, Internationl Laws, Israel, Israeli Injustice, Jewish Settlers, Justice, Land, Leaving beirut, Movie, Palestine, Palestinien, peace, Pink Floyd, Rock Group, Roger, Roger Waters, Roger Waters 2010, Separation, Tear Down the Wall, Terror, The Wall, Unfair, Walled Horizons, war, Waters, West Bank. Bookmark the permalink. We think we know what their life is like but we really don’t, and i admire such films/people not only for taking the time and having the interest to address such issues which are more often than less very much detached from their own lives no, but also because i get to see my land that i haven’t seen in person yet. It’s been a long fight, i just hope we get somewhere one day…. I admit to a bit of surprise that you gave no mention of Alan Parsons … one of the main producers and engineers for ‘Dark Side of The Moon’. Enter your email address to subscribe to |as little design| and receive notifications of new posts by email. This work is licensed under a Creative Commons Attribution-Noncommercial-No Derivative Works 3.0 Unported License. Exept otherwise noted, All work posted on this site is the property of Hadi Alaeddin. Thank You.